Shopping for a new Jeep Cherokee? The new turbo-4 is the strongest engine; choose it, but be careful about moving up the trim and options ladder as pricing gets into the mid-$30,000 range quickly. The 2019 Jeep Cherokee gets more conventional styling this year and adds a powerful turbo-4 engine. It retains its off-road prowess, especially in the Trailhawk model, and it’s comfortable on pavement too. Interior room is an issue even though interior materials are not. Crash-test results are less than stellar, though Jeep makes plenty of active safety features available. The Cherokee made its debut for the 2014 model year and it is updated for 2019 with new styling, a new engine, an updated infotainment system, and revised transmission and suspension tuning. The 2019 Jeep Cherokee sports a more cohesive exterior design to go with its fashionable cockpit. 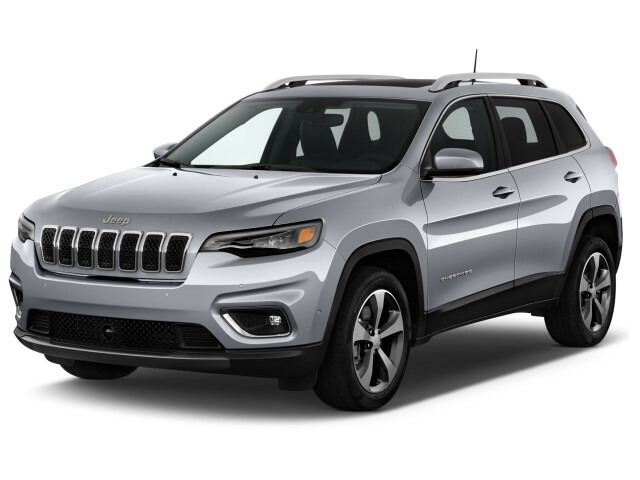 The 2019 Jeep Cherokee combines competent on-road manners with unmatched off-road prowess in the class, and it now offers a robust turbo-4 engine. The base engine will serve most commuters just adequately. It moves the Cherokee from 0-60 mph in a leisurely 10.5 seconds, though it feels stronger with front-wheel drive. The 0-60 time drops to 7.5 seconds with the V-6, and the refinement improves. It gets even better with the turbo-4. The 0-60 time falls to 7.0 seconds and the additional torque makes this the engine of choice for the toughest off-roading situations. All engines come with stop/start, but fuel economy isn’t a strong point for any of them. They are all also mated to a problematic 9-speed automatic. This transmission has suffered from jerky gear changes and delayed upshifts and downshifts, but Jeep has re-tuned it this year. Instead of aiming for fuel economy, engineers are now going for drivability. That means the transmission won’t try to upshift so quickly, and fewer shifts mean power is more readily available. The 2019 Jeep Cherokee benefits from soft-touch materials, but it offers less rear seat and cargo space than rivals. The Cherokee’s interior materials are a notch above the competition and Jeep has updated the look this year with contrasting lighter colors on lower panels. The dash, door panels, and armrests are all soft to touch and feature low-gloss surfaces that absorb light. The switchgear moves smoothly, and the whole effect is pleasing and even a bit upscale. Powertrain noises are also well muted. Space is an issue for the Cherokee. At 182 inches long, with a wheelbase that ranges from 106.5 to 107 inches, the Cherokee is about as long as the rest of the class, but it is skinnier. Front leg room measures a plentiful 41.1 inches and rear leg room is fine at 40.3 inches when the rear seat is pushed back (it moves forward and back up to six inches). That width means bigger drivers might come into contact with the door panels or center console and three across in the rear won’t be as comfortable. Limited and Overland models have the best seats; they have ample bolsters and nappa leather surfaces. We’ve also found that taller drivers can have an issue because the steering wheel is tilted away slightly at the top and the windshield frame sits a bit low. That sliding rear seat can leave enough rear leg and knee room, but when pushed fully back, the rear seat cuts into cargo space. Jeep widened the cargo area this year to carve out another 1.2 cubic feet of space in the back with the rears seats up. The top total is 29.1 cubic feet with the rear seats pushed forward. That shrinks to 24.6 cubic feet with the rear seats pushed all the way back. Fold those seats down, and the total is 54.9 cubic feet, which is at least 15 cubic feet less than the most spacious rivals. Thankfully, Jeep offers a cargo-management system with eight tie-downs to secure grocery bags. Small-items storage is quite good, though. The Cherokee has a deep glove box, a generous center console, a pair of cupholders in front of the center console, a bin at the top of the center stack, and a slot for cellphones at the base of the center stack. The Jeep Cherokee’s middling crash-test ratings are somewhat offset by lots of available safety equipment. The 2019 Jeep Cherokee has not yet been crash-tested, but its structure hasn’t changed with its update, so its middling crash-test scores shouldn’t change. 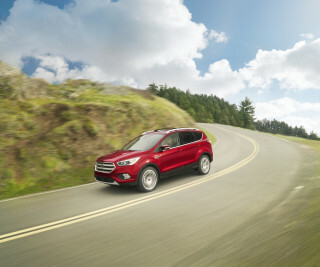 It comes with a decent amount of safety features, though, and more are available for most models. This year’s results aren’t in yet, but the IIHS said the last Cherokee received “Good” scores in most tests, though it only scored “Marginal” in the tough small-overlap front-impact test. New headlights could help its overall score, but the small overlap results prevent any kind of Top Safety Pick award. The NHTSA gave the previous Cherokee four stars out of five overall, with four stars in most tests and five in the side impact test. Those are below average. Standard safety features in the 2019 Jeep Cherokee include eight airbags (the usual plus rear side bags and knee bags for the driver and front passenger), a rearview camera, hill-start assist, and trailer sway control. Blind-spot monitors and rear cross-path detection are standard for Limited, Overland, and Trailhawk trims. 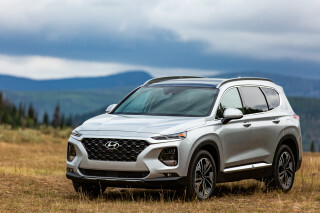 Those models also can get the optional Technology Group, which adds forward collision warnings with automatic emergency braking, lane-departure warning, rain-sensing wipers, automatic high beams, adaptive cruise control, and automatic parallel and perpendicular parking. With a range of models and host of options, 2018 Jeep Cherokee buyers can outfit their vehicles to suit their needs. The model lineup consists of Latitude, Latitude Plus, Limited, Overland, and Trailhawk models. The 2.4-liter 4-cylinder engine is standard in the Latitude, Latitude Plus, and the front-wheel-drive version of the Limited. The rest of the models get the 3.2-liter V-6 as standard. The new turbocharged 2.0-liter 4-cylinder is optional on all but the Latitude. When buyers choose four-wheel drive, they get the base Active Drive I system in all but the Trailhawk model and they can upgrade to Active Drive II in all but the Latitude. The Trailhawk comes with Active Drive Lock. Active Drive II simulates low-range gearing, while Active Drive Lock has a two-speed transfer case with real low-range gearing, plus a mechanical locking rear differential that is electronically actuated. The Latitude’s standard equipment consists of automatic LED headlights, fog lights, roof rails, 17-inch steel wheels, eight cargo-area tiedowns, cloth upholstery, a six-way manually adjustable driver’s seat, power accessories, air conditioning, and a 60/40-split folding rear seat. It gets an updated infotainment system with a center touchscreen that grows from 5.0 to 7.0 inches this year. Other infotainment features include a USB port, an auxiliary jack, two 12-volt outlets, Bluetooth, and a six-speaker audio system. The Latitude Plus adds alloy wheels, cloth and vinyl upholstery, power eight-way driver’s seat and power four-way front passenger seat, a leather-wrapped steering wheel, cruise control, keyless ignition, satellite radio, and additional USB ports. The Limited trim level adds a power liftgate, memory for the driver’s seat and exterior mirrors, 18-inch wheels, a windshield wiper deicer, blind-spot monitors, a 7.0-inch information display in the instrument panel, dual-zone automatic climate control, an auto-dimming rearview mirror, nappa leather upholstery, heated front seats with four-way power lumbar adjustment, a heated steering wheel, an 8.4-inch center touchscreen, remote starting, rear cross-path detection, and a universal garage door opener. The Overland is even swankier, with a hands-free power liftgate, 19-inch wheels, a rear tonneau cover, perforated nappa leather seats that are heated and cooled, navigation, five years of real-time traffic, and a nine-speaker Alpine audio system that puts out 506 watts of power. The Trailhawk is equipped for off-roading, with an off-road suspension, taller and knobbier 17-inch tires, and a rear fascia skid plate. Otherwise, it is mostly equipped like the Latitude Plus, though it also adds the 7.0-inch instrument panel screen, the 8.4-inch touchscreen, dual-zone automatic climate control, and blind-spot monitors. Options include higher-end equipment for lower-end models, plus several notable option packages. The Heavy Duty Protection package adds skid plates for the fuel tank, front suspension, transmission and underbody, plus a full-size spare. A SafetyTec Group comes with blind-spot monitors, rear cross-path detection, and rear park assist. 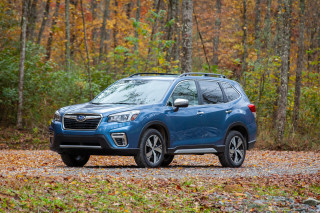 A Technology Group adds forward collision warnings with automatic emergency braking, lane-departure warning, rain-sensing wipers, automatic high beams, adaptive cruise control, and automatic parallel and perpendicular parking. A Trailer Tow Group comes with heavy-duty engine cooling for the 3.2- and 2.0-liter engines, an auxiliary transmission oil cooler, a Class III hitch receiver, 4- and 7-pin wiring harnesses, and a full-size spare tire. The 2019 Jeep Cherokee gets just average fuel economy for its class. 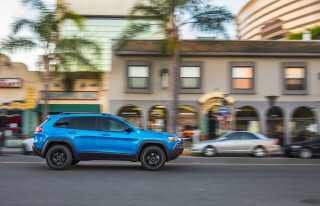 The 2019 Jeep Cherokee drops some weight and adds stop/start technology to all engines instead of just the V-6, but its 9-speed automatic transmission is retuned for drivability instead of fuel economy. Jeep says fuel economy should improve, but the numbers for the 2.4-liter 4-cylinder improve only slightly, while the ratings for the 3.2-liter V-6 drop slightly. 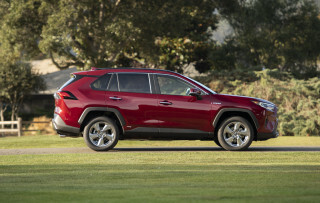 With front-wheel drive, the EPA rates the 2.4-liter Cherokee at 22 mpg city, 31 highway, 25 combined. With all-wheel drive, those numbers fall to 21/29/24 mpg. The new turbo-4 gets slightly better ratings, but it requires premium gasoline. 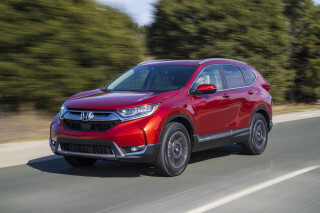 It is rated at 23/31/26 mpg with front drive, 21/29/24 mpg with Active Drive I, 20/27/23 mpg with Active Drive II, and 20/26/22 mpg in the Trailhawk. The V-6 requires mid-grade gasoline. 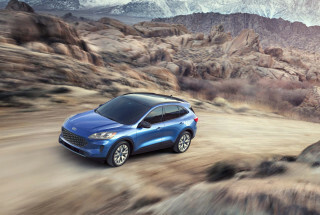 It is rated at 20/29/23 mpg with front drive, 19/27/22 mpg with Active Drive I, 18/26/21 mpg with Active Drive II, and 18/24/21 mpg in the Trailhawk.